I like my supplements to be as pure as possible and Pureencapsulations is a great brand. 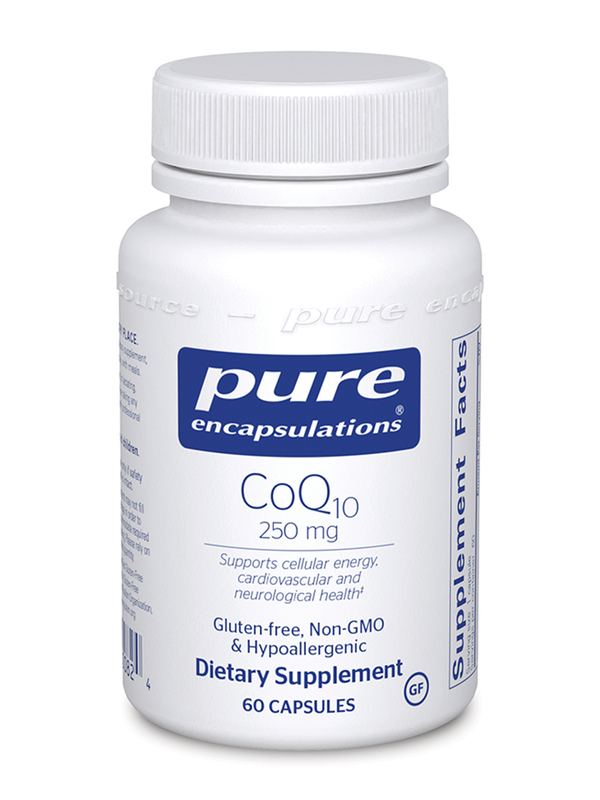 If you are sensitive to fillers and binders or soy/gluten/dairy etc... CoQ10 by Pureencapsulations is worth the price. The CoQ10 pills are easy to swallow too. Coenzyme Q10 (also known as ubiquinol or CoQ10) is essential to cellular energy production; this energy is then used for all physiological functions. CoQ10's involvement is particularly strong in the mitochondrial electron transport system‚ which produces adenosinetriphosphate (ATP). ATP is an energy-rich molecule that is especially helpful to the heart‚ periodontal (gum) tissue‚ and immune system. The best dietary sources of coenzyme Q10 are fatty fish‚ whole grains‚ and organ meats. 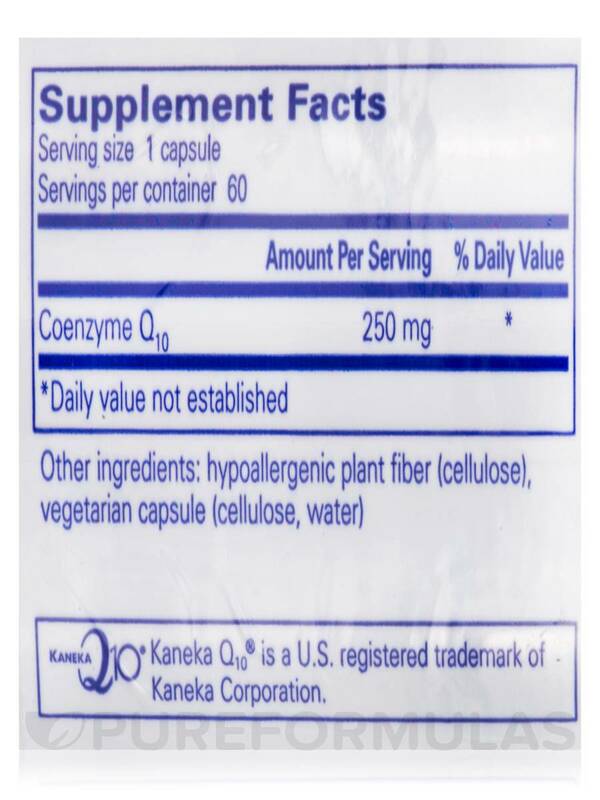 However‚ a CoQ10 supplement may be a more convenient way to get it. 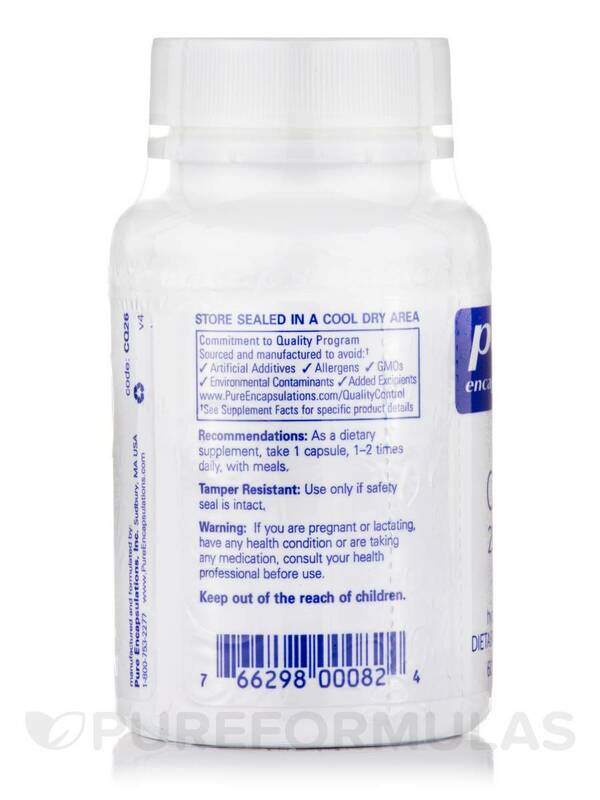 CoQ10 250 mg by Pure Encapsulations provides a boost of coenzyme Q10 to promote overall health. It serves as an antioxidant‚ meaning that it may fight off free radicals that can cause damage to cells. Furthermore‚ it supports healthy heart muscle function and blood flow. 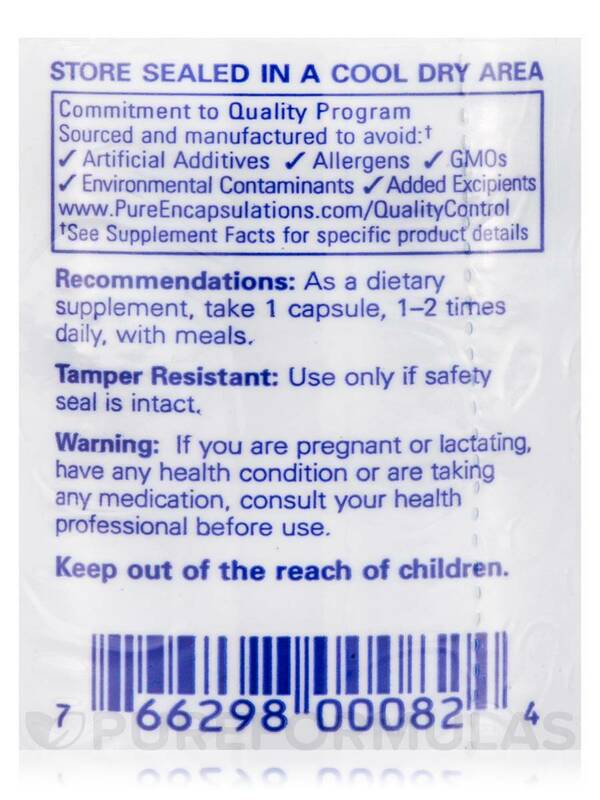 Take one or two capsules daily‚ in divided doses with meals. 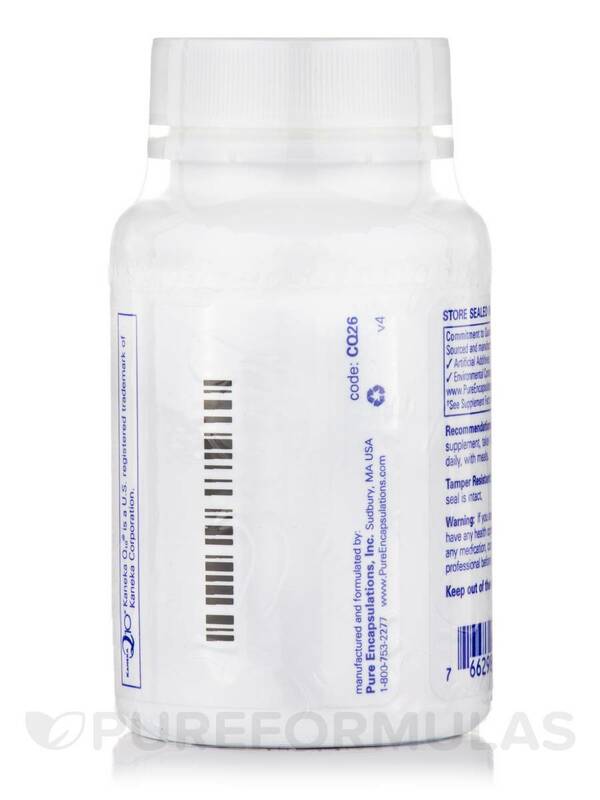 At the recommended dosage‚ each 60-capsule bottle of Pure Encapsulations' CoQ10 250 mg should last from one to two months.